Last night I made a Craigslist posting at 2am (mistake #1) and had such a funny Facebook fail that I had to highlight it. 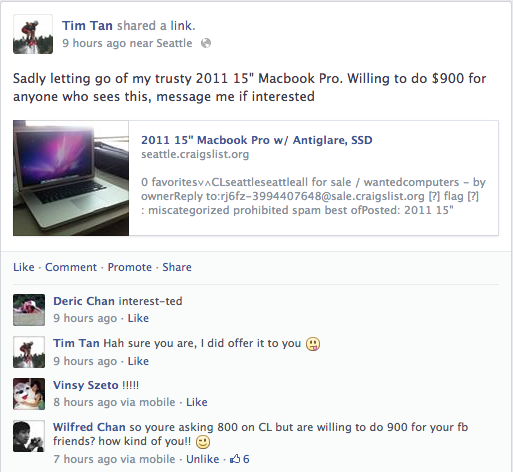 I was playing around with the price based on what other people were selling for and forgot to publish my edit, resulting in my CL ad asking for $800 while offering my FB friends $900. To paraphrase my good friend Wilfred, how kind of me!! Goes to show I’ve got some observant friends.